If you have some free time or you are a foosball fan I have good news for you. 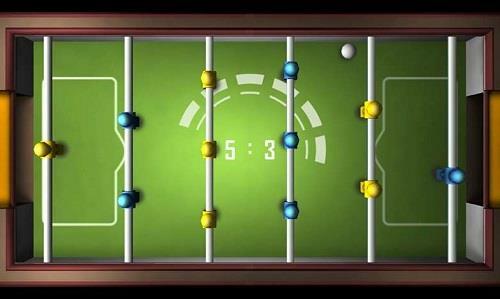 You can now choose 5 foosball apps for your smartphone to experience foosball in a digital world. All Android owners will be very happy with this game. 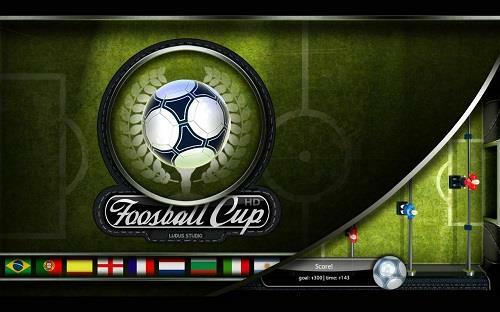 This foosball game called the Foosball Cup is made by Ludus Studio and it is their first foosball game. Score for this is 3.8 and it has about 13 000 downloads. This game has great command reaction and it makes playing foosball like a playing foosball on the real foosball table. This app also has a lot of different options. You can choose different settings for the game and different mods for playing foosball. Also, you can choose from 25 national teams which are pretty cool. If you see that the score of this foosball game it is 4.1, you will think that it sounds better than Foosball Cup. But, we can use this scores because they are made on two different platforms. 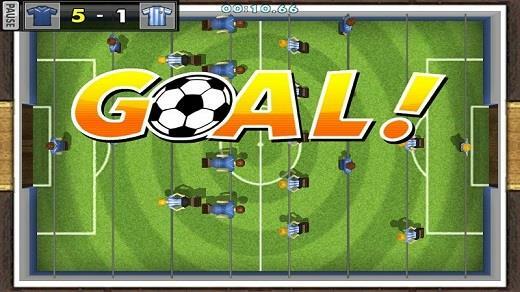 Let's Foosball Free is best foosball game for iOS users. this app has a lot of very nice features one of the best is the view of the camera. With this app, you can't play with national teams and the only difference between players are color of the jersey. With that, you can see that they don't care about the design but the experience. This game is great for playing with your friends. You have two modes of playing one is a tournament and other is a friendly match. Also, you can learn extra features like Slow Motion and Super Ball. This app is made for iOS users and it is not very user-friendly. Don't get me wrong, this game works perfectly but you have only two mods. You can play against your friend and computer. You can choose 3 levels from a pro, medium and easy, depending on your skills. A big minus of this game is foosball table size and player layout because it can't be changed. It is great for kids because it doesn't have complicated settings and features. 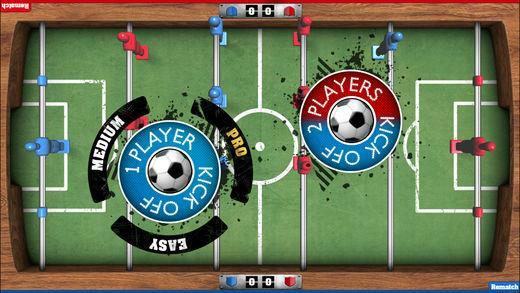 Foosball by Illusion Labs and Foosball by NAVU App are very similar in game mods. 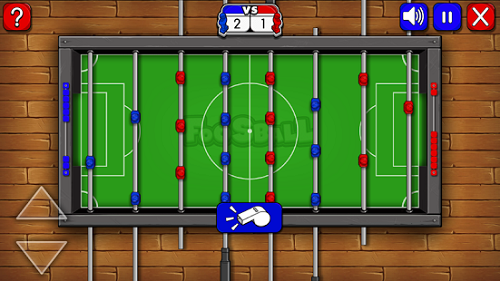 But in the design and graphic on the foosball game by Illusion Lab is much better. Also, this game is not very user-friendly and a lot of people had bad experiences playing it. Only options are choosing between scrimmage and championship. You have only blue and red teams and everything is in that two colors. I play foosball games in real life more than 10 years and I have tested all games about foosball on smartphones you can get. Some games are really like playing real foosball table but more about that and other you can find on my blog where you can learn what is foosball in real life.